The MBA/MPH provides experienced professionals with the skills and confidence to become successful leaders in health organizations. A healthy society is the best environment for good business. The Johns Hopkins dual MBA/MPH is the ideal degree program for health professionals who want to expand their business knowledge, expertise, and career opportunities. Administered in conjunction with the world-renowned Johns Hopkins Bloomberg School of Public Health, this accelerated program teaches the managerial skills and business practices that will help you lead—and make a positive impact—in a variety of health-related organizations. As a student in the MBA/MPH program, you’ll take many of your business courses with students from other Carey graduate degree programs, introducing you to new people and new perspectives. Electives include health care management, enterprise risk management, and more. After graduation, Johns Hopkins MBA/MPH students have gone on to take leadership roles at for-profit and non-profit hospitals, health care organizations, NGOs, and consulting companies. The program begins in July when you’ll take your summer courses with the full-time MPH students. During the fall and spring, your coursework will include an integrated curriculum comprised of public health and business courses. During the second summer, you’ll complete an internship at an organization where you’ll apply your business and public health education in a real-world setting. The program lasts 23 months. Visit the Bloomberg School of Public Health website to view a full curriculum outline and additional program information. Starting in the 2019-2020 academic year, the program tuition is $121,824 ($13,536 per term for 9 terms over two years). Visit the Bloomberg School of Public Health website for more information about financial aid for this program. Applications for the MBA/MPH dual degree program must submitted to the School of Public Health. The admissions committees of both schools will review each application. To apply visit the Bloomberg School of Public Health’s admissions page. If you have already been accepted into the MPH and you would like to be considered for the MPH/MBA Program, send a brief written statement of your intentions via email to the MPH Program at mphprog@jhsph.edu and your application will be forwarded to the Carey Business School if there are any remaining open slots for the upcoming cohort. 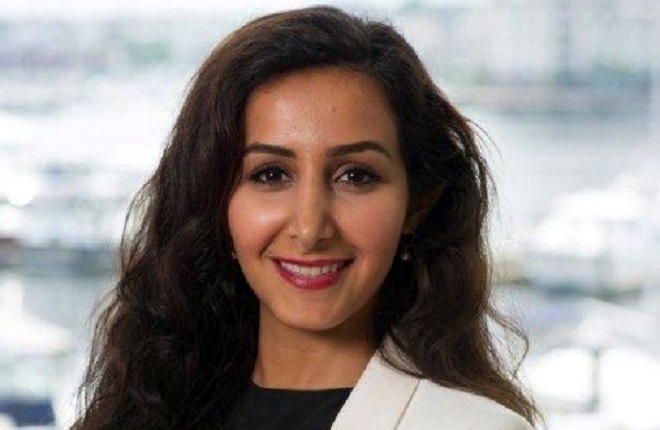 Maysa AlMani works for PwC in Dubai as a government consultant. But the 2014 graduate of Carey’s Global MBA program has also been active in her native Saudi Arabia fighting for the rights of women to vote and drive.